The other Pokemon is scared,the other players Pokemon has to switch to a weak Pokemon. 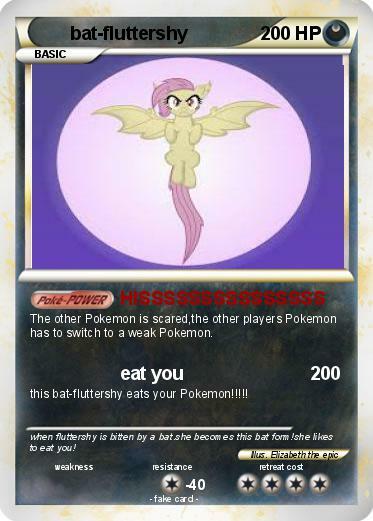 this bat-fluttershy eats your Pokemon!!!!! Comments : when fluttershy is bitten by a bat.she becomes this bat form!she likes to eat you!